Central Park is vast. It covers 843 acres of land, 80 acres of which are woodland and 106 acres are consumed by the JKO Reservoir. 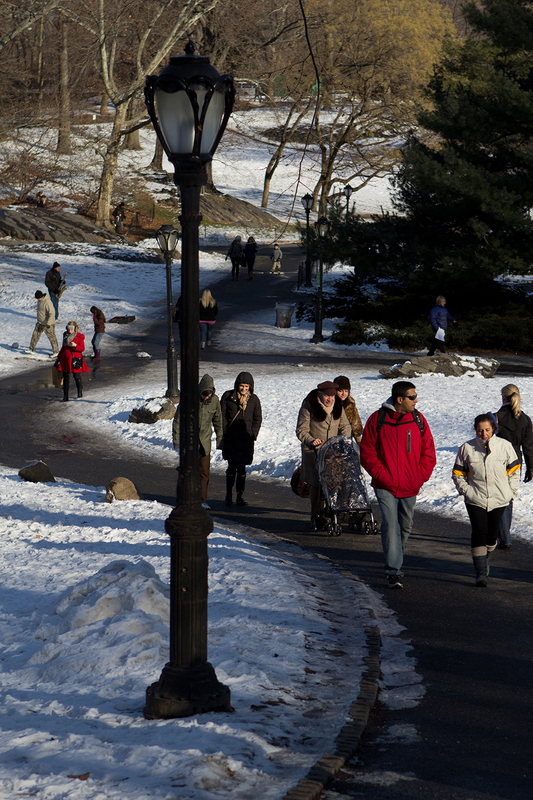 At two and a half miles long by half a mile wide, the park is around six percent of Manhattan’s total land space. Thankfully it’s protected from development. 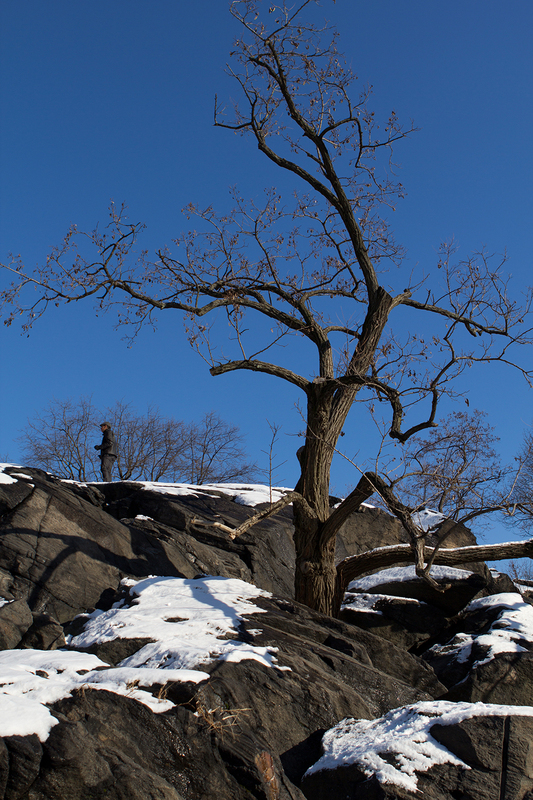 You may notice a snowy theme to my New York photos. Both of my visits were early in their respective years, and both magically managed to coincide with a sudden bout of blizzard conditions. I’m lucky like that. If you want to avoid New York during a blizzard, basically go any time I’m not there and you should be fine. Despite the weather, the park was still host to a lot of visitors, some tourist and some local. 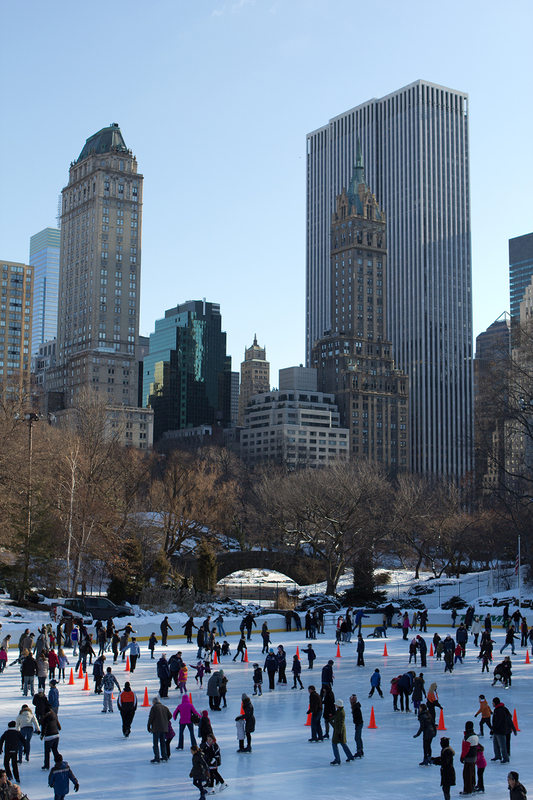 The majority of New Yorkers present came for this: a vast and temporary ice rink which is assembled in the park every winter. The skating is leisurely and calm – no crazed high-speed ice rink chases here. Hot drinks. Just what you need! 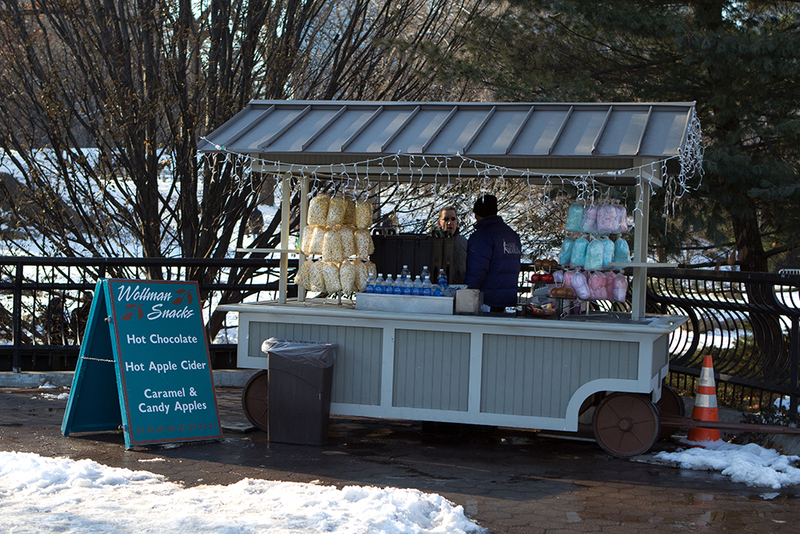 There are stalls dotted through the park this time of year selling hot drinks – chocolate, apple cider, coffee – but also candy floss and popcorn. 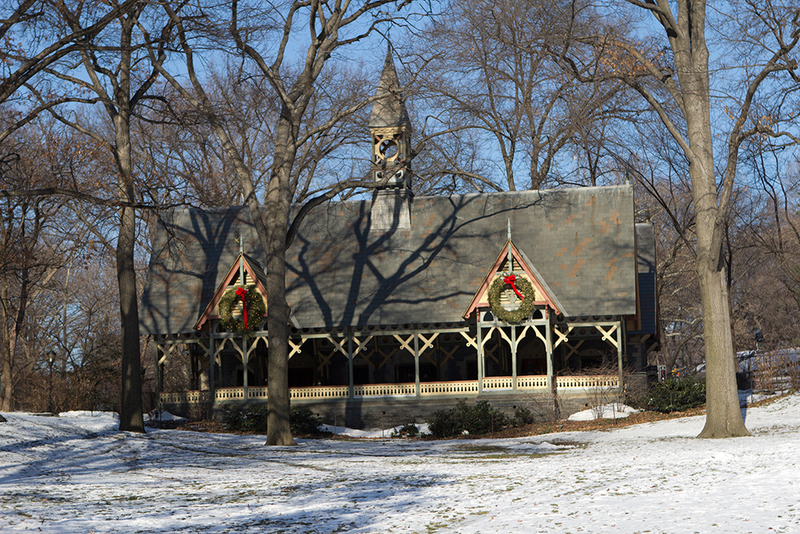 The Christmas atmosphere lingers on well into the new year. 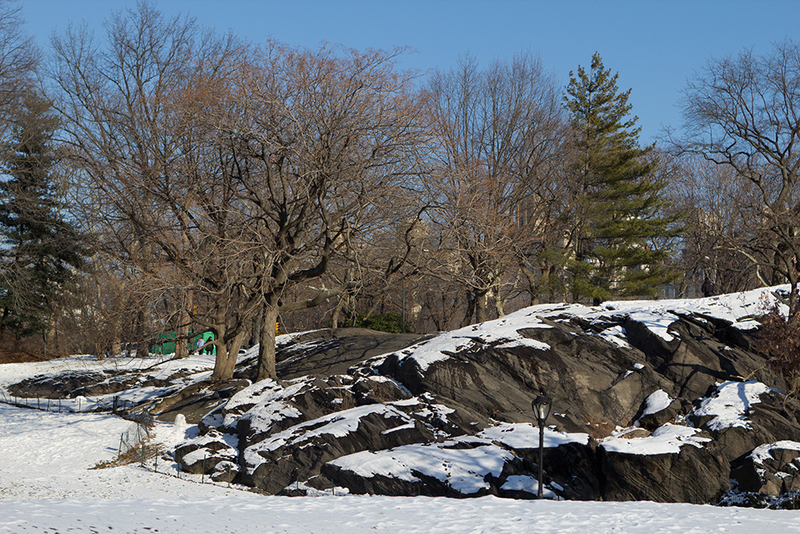 A blanket of snow makes some areas of the park look pristine and glorious, and others barren and desolate. This chap decided climbing snow-covered rocks was a good idea. The barren trees and snow-covered ground made the Dairy Visitor Centre look like a good place to hide in the event of zombie breakout, unlike its more jolly summertime façade. I’m a sucker for snow. It’s one of the reasons I do a lot of travel during the winter. 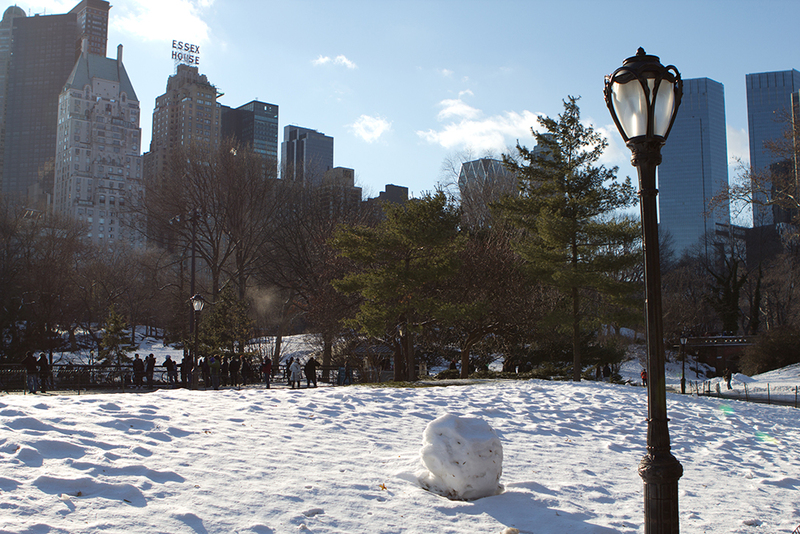 The park’s cast-iron lamp-posts really added to the experience, though. 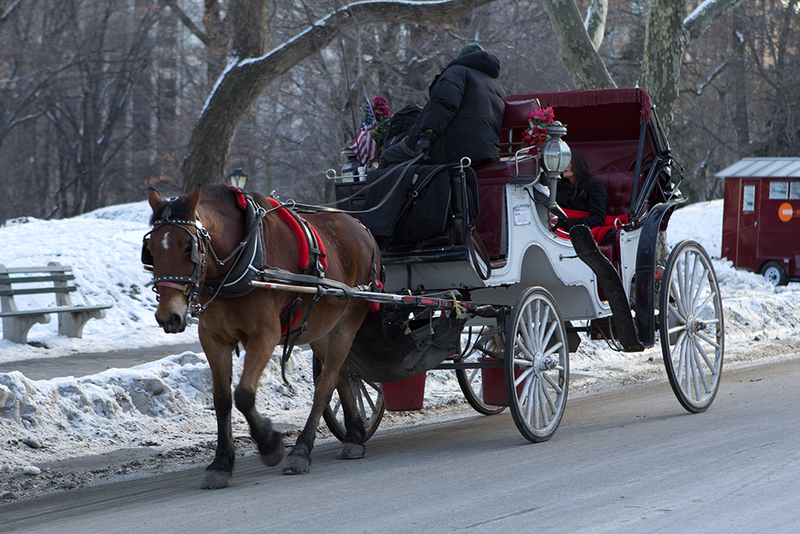 There were plenty of people even nuttier than me, taking romantic horse and carriage rides in sub-zero temperatures. The carriage driver provides a blanket, but it didn’t seem to be enough for most of the people popsicles passing by. 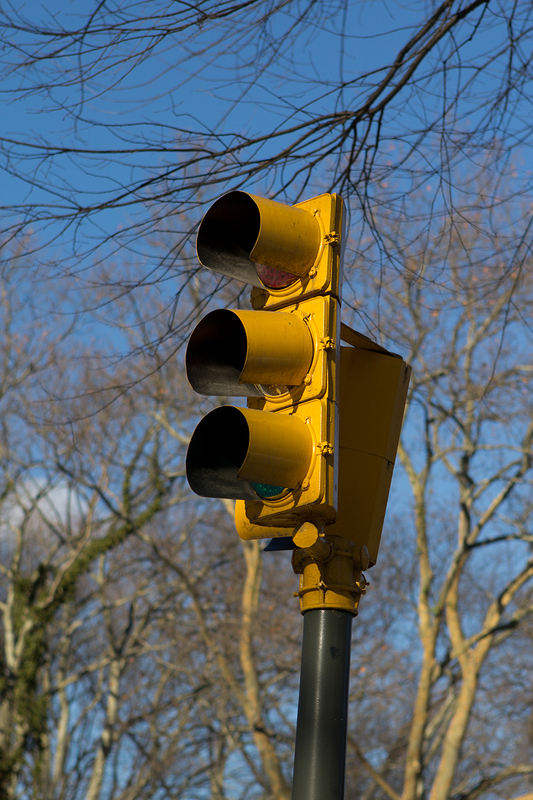 There are several subway stations near and bordering Central Park, including 72nd Street, 81st Street, 86th Street, 96th Street and 103rd Street. I actually walked up from 57th, as that’s where my hotel was.